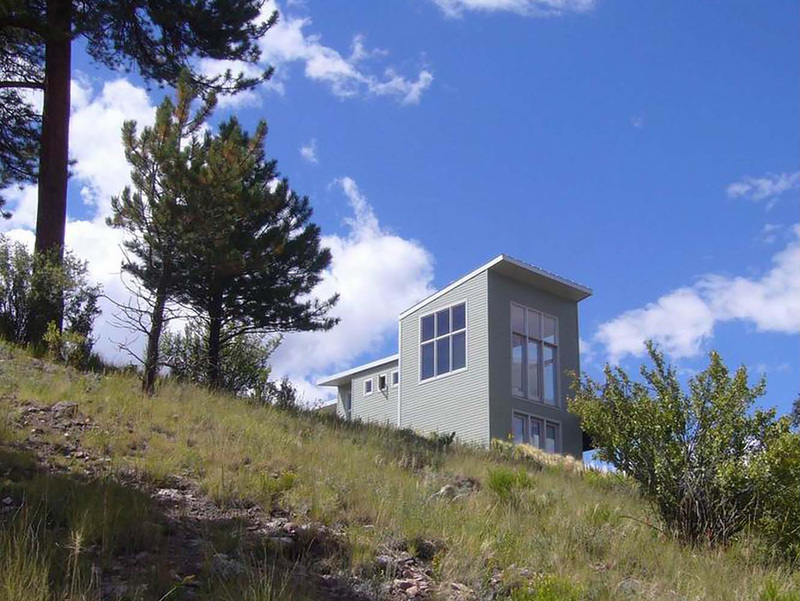 Set near the entrance to an old mining canyon, this compact and sustainable house engages with the history, geography and climate of southwest Colorado. 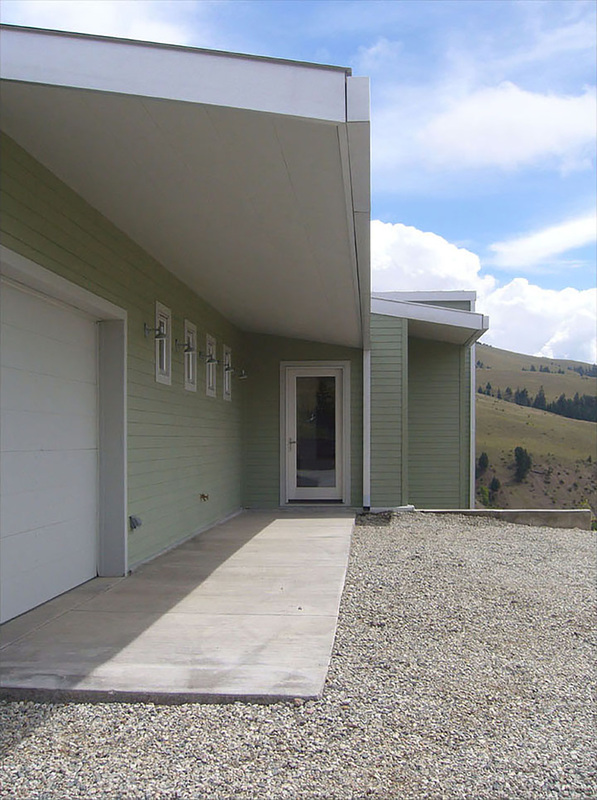 The house is composed of a series of volumes that echo the mining structures and small miner’s homes built in and around this former silver mining town. The volumes and rooflines rise up, following the forms of the mountains, while the house steps down the slope. Tall windows frame views of the constantly changing light and skies. 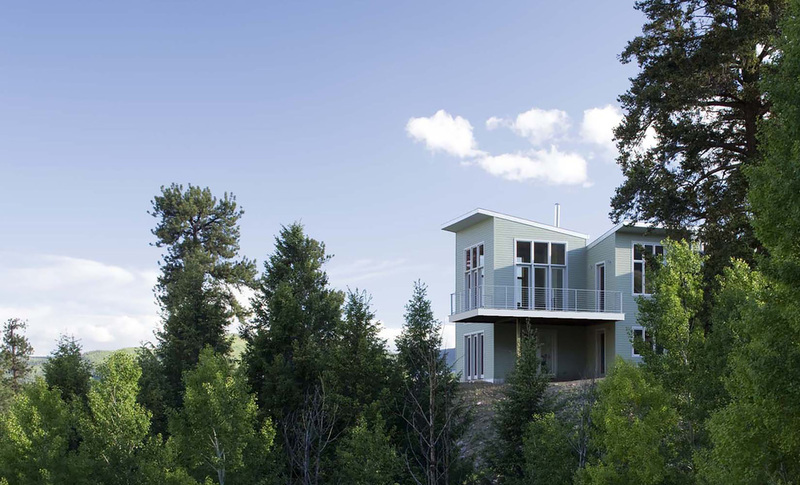 Solar gain from south facing glazing and a geothermal system provides abundant heat during the long Colorado winters. 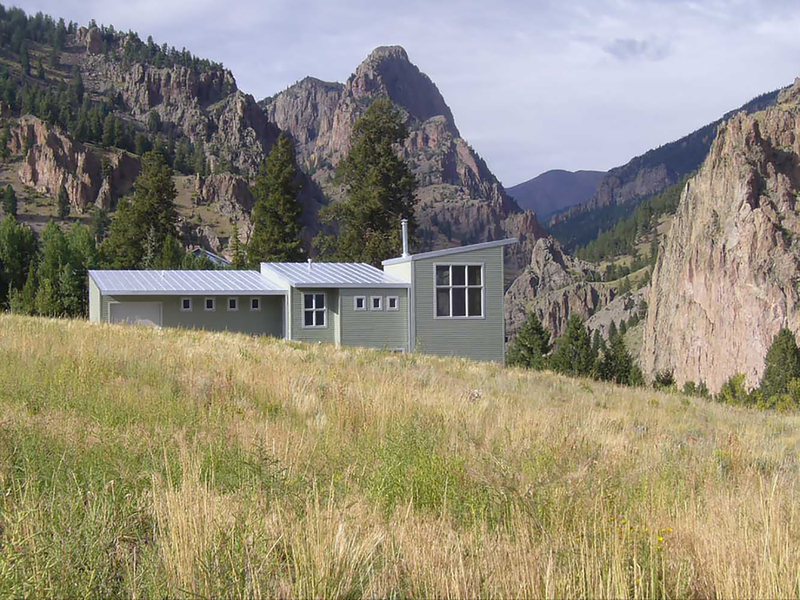 The house is part of an unusual new planned green community called Creede America. Conceived of and create by architect-developer Avery Augur, Creede America is premised on rethinking the process of building responsible, right-sized custom homes.